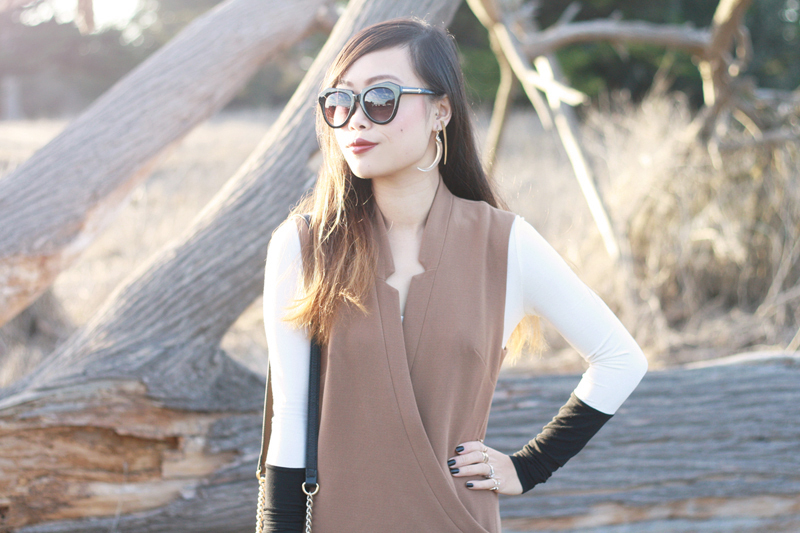 I am always on the search for pieces that are classy, edgy, and sophisticated at the same time. The Lowell structured layer dress in whiskey by Addison is the perfect example. It is perfectly shaped and totally timeless, something I know I can still wear five years from now. 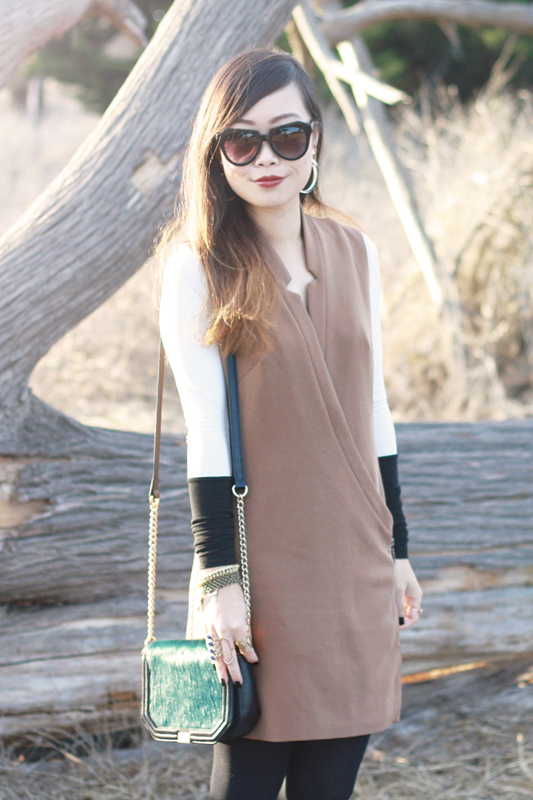 I also love how it comes with a layering separate with colorblocked sleeves which is also an essential. 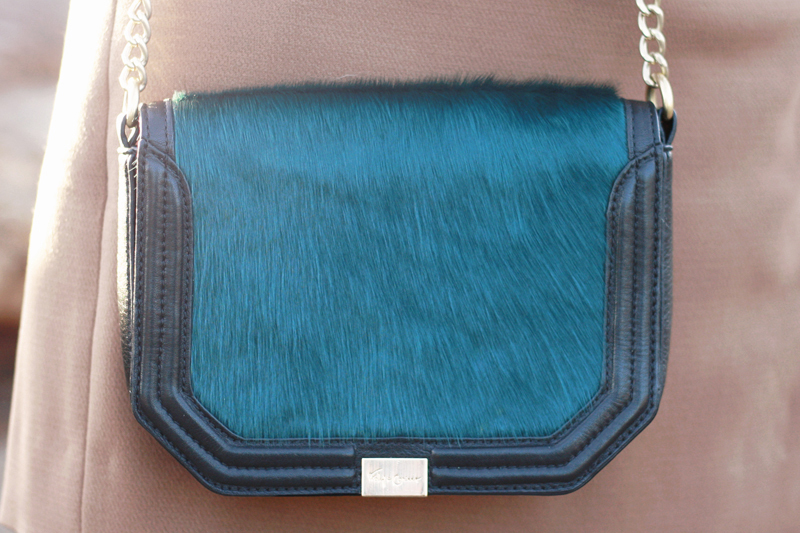 I paired it with a plated mini crossbody bag by Foley+Corinna with the most gorgeous teal mallard pony to add a touch of color to this neutral outfit. 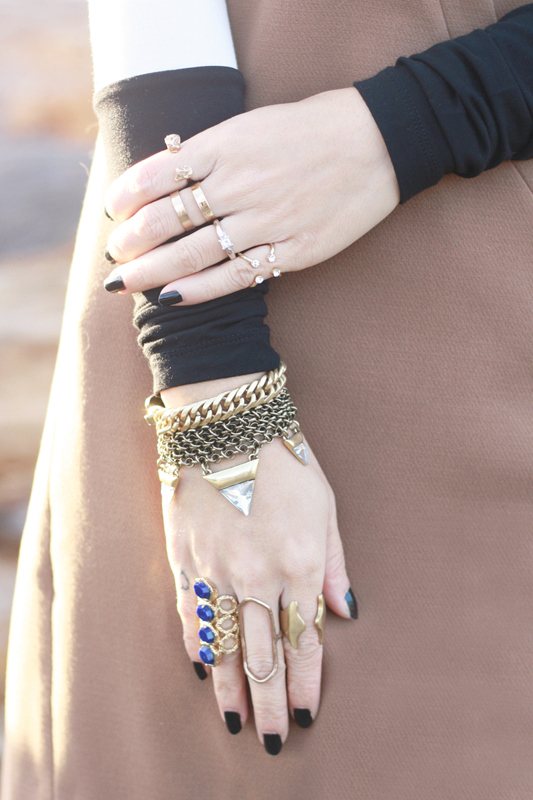 Since my look is on the minimal side, I piled on some Jenny Bird jewelry as well as some of my other favorite metals to dress it up a little. 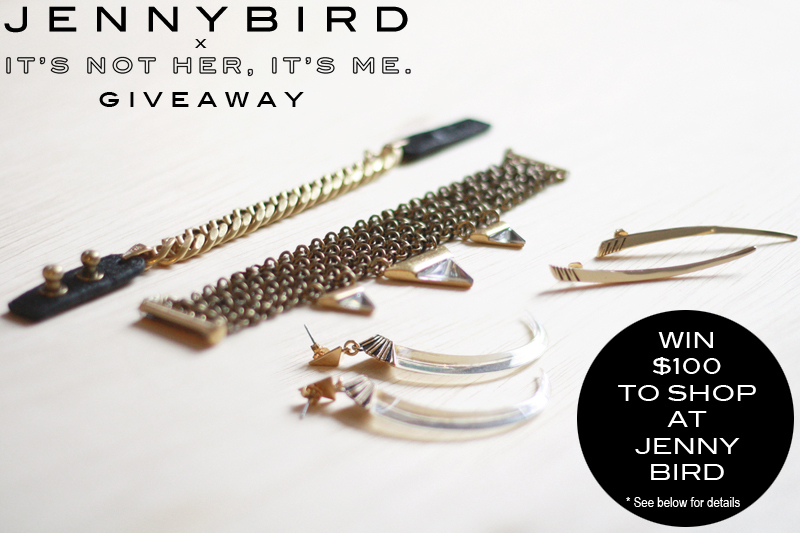 Speaking of Jenny Bird, I have partnered up with this amazing jewelry designer to give you a chance to win a $100 gift certificate to shop at www.jenny-bird.com. See details below on how to enter! That's it! You have until December 4th Midnight PST to enter! Winner, chosen at random, will receive a $100 gift certificate to shop at www.jenny-bird.com. Good luck! Lowell structured layer dress c/o Addison. 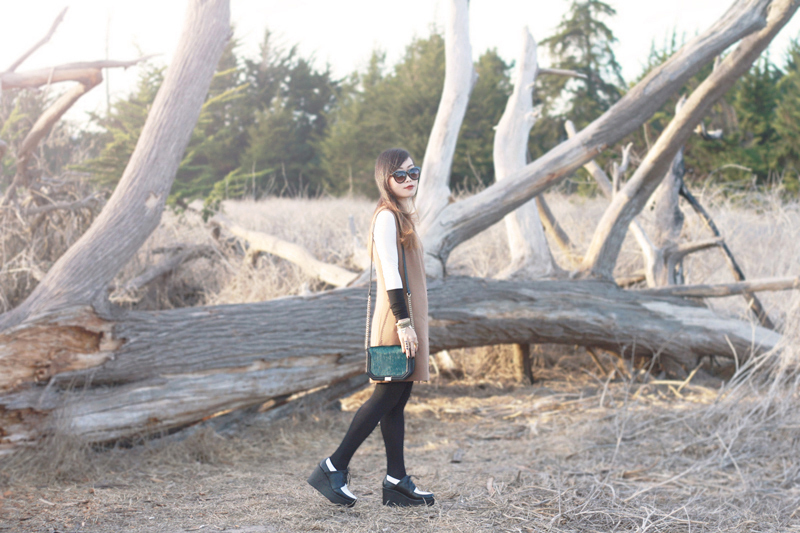 Plated mini crossbody bag in mallard pony c/o Foley+Corinna. Guardian tusk hoops c/o Jenny Bird. Long horn tusk earrings c/o Jenny Bird. Illumina bracelet c/o Jenny Bird. Blue lapis goddess honeycomb ring c/o Isharya. Basal ring c/o Tiffany Kunz. Kalaa cast ring c/o Made. This dress is stunning, I love the color blocking and the structure!